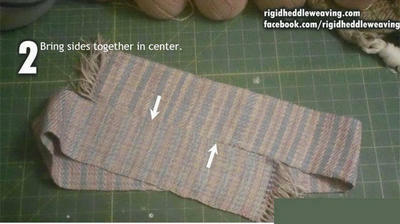 This is how you make a shoulder bag out of a single narrow piece of cloth. I'm 5'2" and 8 feet of cloth is just the right length for me. 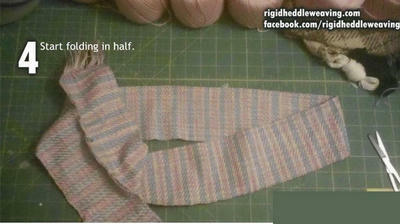 Adjust the length of cloth you need accordingly. 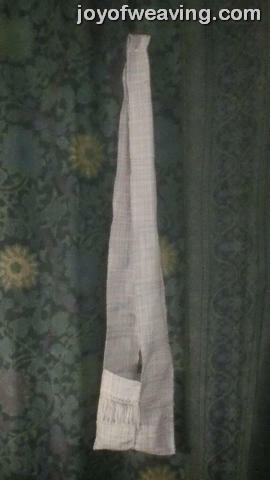 This bag was made with 50 ends of #10 crochet cotton (doubled) at 12 epi (or 100 ends at 24 epi). Make it as wide or as narrow as you want. 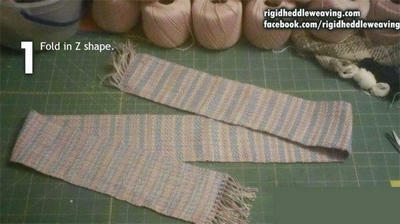 Practice with a piece of scrap fabric before attempting it with "the real thing". I hope you enjoy this pictorial. Fold the cloth like this. 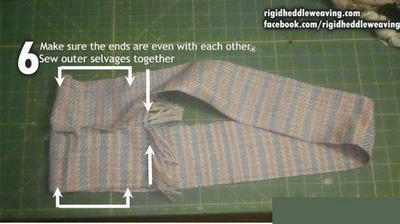 Match the selvages for a length twice as deep as you need for the "pocket". Sew this seam but don't sew all the way to the ends if you plan on having fringe. 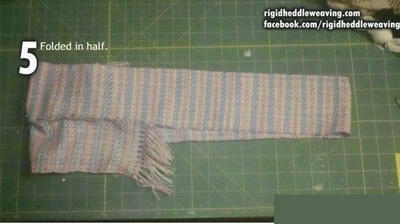 This is what you should end up with when you fold it in half. Spread the 2 halves apart as pictured. Match up the ends to make sure they're even. Sew the outside selvages together this time. 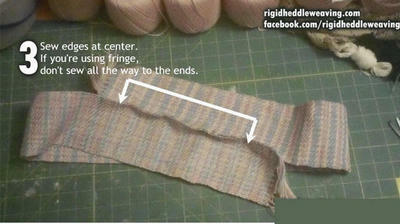 Remember not to sew all the way to the end if you plan on fringe. 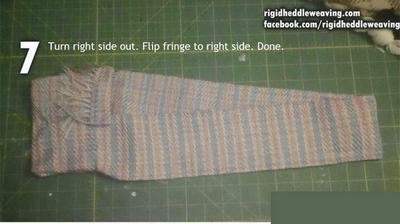 Turn it rightside out and flip the fringe, if you have any, to the right side. Enjoy your bag.